$1,269.00 & FREE Shipping on orders over $59. Only temp controlled conical avalible. Awesome reviews and high quality for home brewing. Surperior fermentor and able to carb and clear. You cannot chill anything less than about an 8gal batch. SO if you ran a standard 5gal beer, you will not be able to chill it. No extension kit is available. 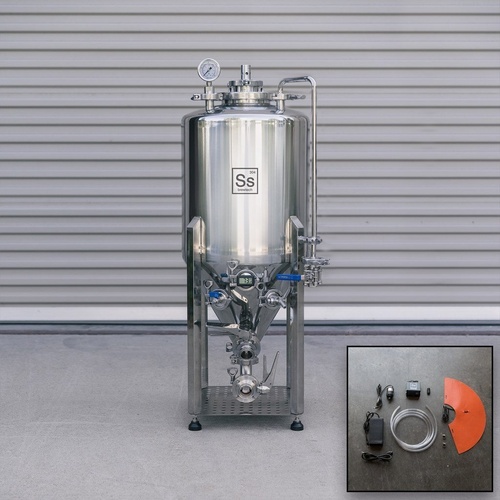 I consider this fermenter and other SS accessories to be professional quality for the home brewer. They are outstanding.